A Seattle woman in her 40s is the first person known to be infected locally with the West Nile virus. In the past, reported cases in King County residents were likely contracted out of state or in Eastern Washington. 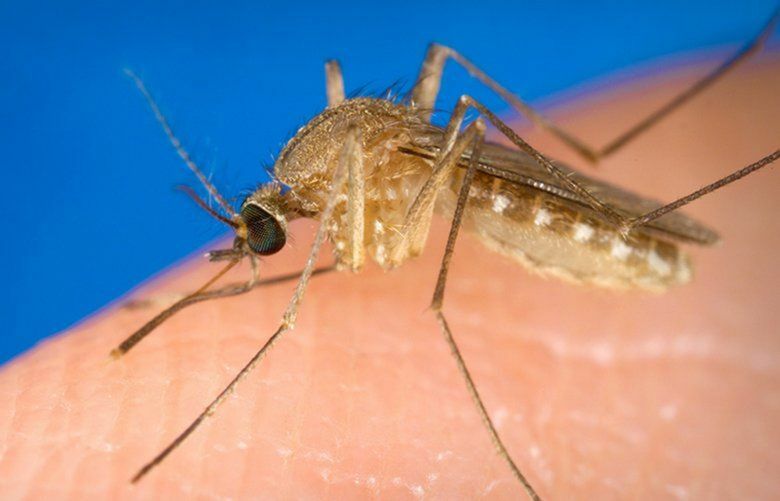 A Seattle woman has tested positive for West Nile virus, becoming the first reported person infected with the virus locally, according to King County. She’s expected to make a full recovery. The woman, who is in her 40s, was likely infected in late August in Seattle, but could have been infected on a day trip to Bainbridge Island, Meredith Li-Vollmer, a spokeswoman for Public Health – Seattle & King County, said Monday. King County residents have reported catching the relatively rare West Nile virus in the past, but they likely became infected outside the state or in Eastern Washington, Li-Vollmer said. Over the past decade, about six people on average have contracted the virus every year in the eastern part of the state, she added. West Nile virus is most commonly spread to people through the bite of an infected mosquito, according to the U.S. Centers for Disease Control and Prevention. In a small number of cases the virus can be spread in laboratory settings, blood or organ transfusions and from a mother to her child during pregnancy, delivery or breast-feeding. Humans are considered a “dead-end” host, meaning they cannot pass the virus on to other biting mosquitoes. The Seattle woman was hospitalized for one day in mid-September with a mild form of meningitis due to the West Nile virus, according to Dr. Jeff Duchin, health officer for Public Health – Seattle & King County. Around 80 percent of people infected with West Nile virus do not develop any symptoms, according to the CDC. Of the 20 percent of infected people who develop symptoms, including fever, the most common is fatigue and weakness that can last for weeks or months. Fewer than 1 percent of infected people develop illnesses affecting the central nervous system that may lead to death. West Nile virus was detected west of the Cascades last summer when a mosquito sample in Pierce County tested positive. According to Duchin, it is likely that people were locally infected with the West Nile virus in the past, since the majority of cases go unrecognized. The spread and scope of the virus, which was first detected in the U.S. in 1999, depends on how climate, wildlife and mosquito populations interact, Duchin said. Mosquito populations need at least a teaspoon of water to reproduce in the spring and hot, dry summers for a large amount of eggs to hatch and survive. To reduce the risk of West Nile virus, the public health department recommends managing mosquito breeding by removing outdoor objects that may collect water, such as buckets, wheelbarrows or toys. Mosquito bites can be managed with insect repellent, long sleeves and pants and socks, as well as screens on windows.